Everything I have posted about the eclipse so far is about us and what we saw. However, we weren’t alone. There were lots of people watching in the same place as us. 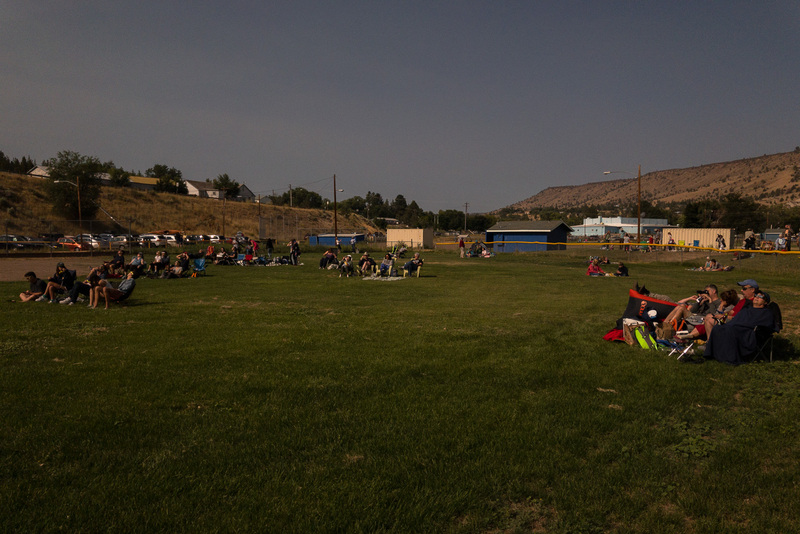 During the initial stages of the eclipse, I wandered around the site to get a few pictures of people enjoying the experience. I didn’t have another camera other than my phone so that had to make do but these are some of the shots of everyone enjoying a rare experience that I got. This entry was posted in Pacific Northwest, photo, Travel and tagged oregon, photo, Solar eclipse, spectators, viewing, visitors, warm springs. Bookmark the permalink.